Not within driving distance to Bonnaroo but still want to attend? You aren’t alone; every year Bonnaroo brings in nearly 100,000 people a day. Many of these Bonnaroo attendees are from areas outside of the immediate area. Bonnaroo is one of the few music festivals in the country that brings in people from around the world. If you’re one of these people you will need to fly into Bonnaroo. Enter this article! Here we will go over all over your questions about flying into Bonnaroo so you are ready to rock come June. Bonnaroo is one of those festivals where everyone camps at the festival. When you camp at Bonnaroo you need to bring a fair amount of equipment for the weekend. In fact, we have a full article on everything we recommend you bring with you to Bonnaroo as it’s such a common question. To summarize you need at the very least all your basic camping gear – a tent, sleeping bag, cooler, a tarp, etc. The point is you need to bring more with you to Bonnaroo than most music festivals, unless you are the rarity who is staying in Nashville for Bonnaroo. I bring all this up because it plays a big factor in whether you drive or fly into Bonnaroo. Many people, even if they are located 1,000+ miles away, drive into Bonnaroo. That said, you can fly into Bonnaroo and still bring the necessities – you just need to plan really well. Let’s go into the logistics of flying into Bonnaroo and how you can make it work. Clearly you won’t be able to bring as much as to Bonnaroo as if you drove, but it can work. What is the closest airport to Bonnaroo? Generally you have two options with flying into Bonnaroo. The main airport most people use for Bonnaroo is the Nashville International Airport (BNA). The Nashville airport is just over an hour away from where Bonnaroo takes place. Bonnaroo also offers an official shuttle (see below) form the Nashville airport, so unless you want to rent a car or have another way to get to Bonnaroo, this is your best bet. Nashville is also the bigger of the two airports, so you are more likely to find a cheap flight for Bonnaroo and will have more airlines to select from. The other option is the Chattanooga airport. It’s not much further from Bonnaroo as it is about an hour and 20 minutes from Bonnaroo. The main advantage of the Chattanooga airport is it is small and won’t have many lines – you will get right in and out. Of course, the disadvantage of the small airport is the flights can get expensive quickly and there will be limited flights. 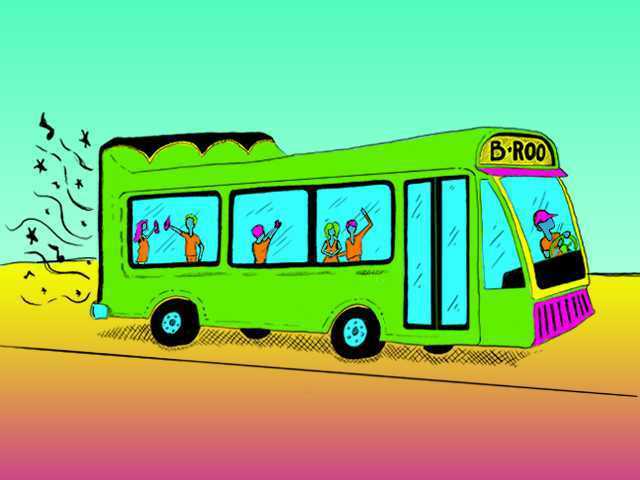 The other main disadvantage is there is no Bonnaroo shuttle from Chattanooga to the festival. Ultimately I suggest you fly into Nashville, but Chattanooga is an option if you need it. The Bonnaroo shuttle ride will be just over an hour from the airport to Bonnaroo. On Monday your flight leaving Nashville cannot be before 9:00 a.m. and the last shuttle leaving Bonnaroo on Monday is 1:00 p.m. Thus you really want a flight leaving Nashville in the late morning to early afternoon if possible. Fly Southwest: The key is you will get the two free bags, so I highly recommend taking Southwest to Bonnaroo. You may find a cheaper rate on another airline, but be sure to take into account you will need to pay for two bags worth of supplies. Generally when this is taken into account Southwest is your best option for Bonnaroo typically. 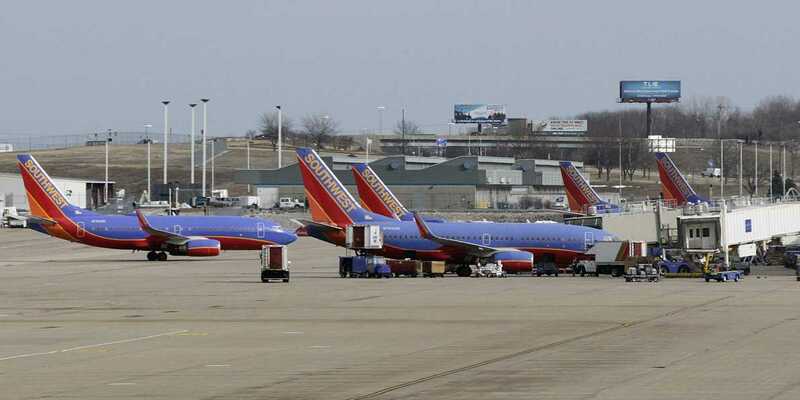 Note that Southwest only flies into Nashville, TN. Book Early: Bonnaroo is a big event for Nashville, and thus flights will fill up quickly. Additionally, there are limited flights into Nashville – this isn’t a major airport like O’Hare or JFK. Start looking for your Bonnaroo flight early! Consider Purchasing Things There: Many people fly using Southwest, and use their bag allowance to bring their expensive camping items like a tent and air mattress. Then they go to Walmart and purchase cheaper things like chairs, a small camp stove, and other Bonnaroo necessities. Most of these items can be had for fairly cheap, especially when you are splitting it with a friend. Consider going this route for Bonnaroo. Most people just give away what they bought to locals at the end of the Bonnaroo weekend. Packing Tips: If you do want to bring as much as possible with you to Bonnaroo you just need to pack smart. I suggest checking a cooler and your tent/sleeping bag. Inside your cooler you should pack everything you possible can. I also suggest going with an air pad over a blow up mattress as it is lighter and can likely be rolled to fit into your cooler. So checked bag/item #1 can be the cooler full of stuff and checked item #2 can be your tent and sleeping bag. This leaves you with needing to pack all of your clothes into your carry-on, which should be doable. Generally you will just be packing t-shirts and lighter clothes for Bonnaroo, so this should fit into a carry on no problem. It’s challenging, but you can still pack the majority of what you need for Bonnaroo if you are flying in. The remaining items you need (chairs, utensils, dishware) I recommend just snagging at Walmart on the cheap. As I mentioned you generally have two options: take the official Bonnaroo shuttle or rent a car. The advantage of renting a car is you can take advantage of car camping and it will be much more convenient hauling all your stuff to Bonnaroo. Plus, if you need to stop at Walmart for food, alcohol and supplies this is only possible with renting a car. If you can split the cost of renting a car with some friends this is the route I would go with Bonnaroo. If you are trying to save some money you can use the Bonnaroo shuttle and just tent camp. Flying to Bonnaroo is a little tricky and requires some planning, but it can be done. The key is your packing scheme to try to bring as much as possible with you to Bonnaroo. Plan carefully and you can pull it off – distance is no reason to not attend Bonnaroo!